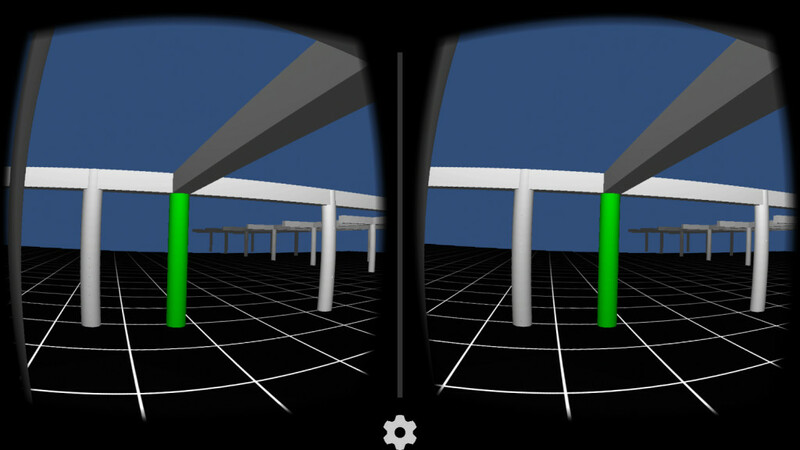 From a hackathon idea to a Thornton Tomasetti R&D project, VRX is a new tool that links Building Information Modeling and virtual reality on the Web using your phone and a very inexpensive piece of hardware. Members of CORE studio attend various AEC hackathon events year-round to collaborate with other professionals in the industry and apply computational design to different areas of the building process. Earlier this year, as the result of a weekend-long project at the NYC AEC Hackathon, we developed VRX, which allows users to experience and interact with BIM models in virtual reality. 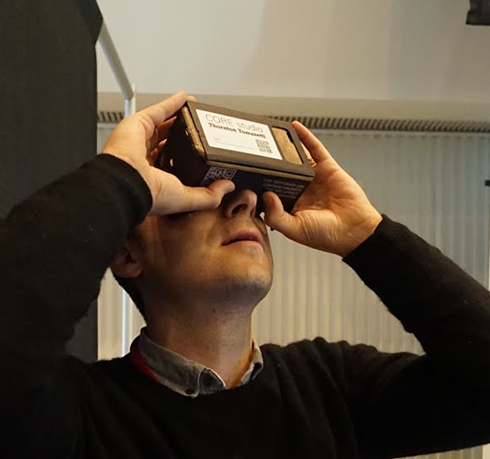 This was possible thanks to Google Cardboard, an affordable gadget that transforms your mobile phone into a VR device. 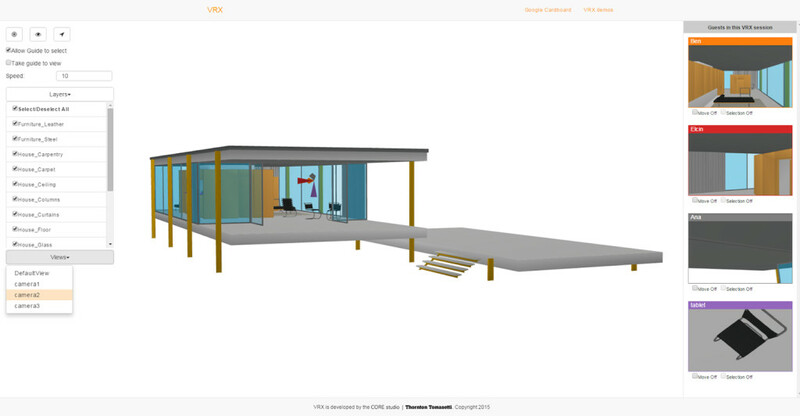 The first prototype of VRX, with which one can select a building element by looking at it. We were thrilled when the hackathon jury, led by Minerva Tantoco, chief technology officer for New York City, gave VRX the best overall project award. We decided to continue the development of this virtual reality initiative as a research and development project at Thornton Tomasetti. While the first prototype was built using Unity, we wrote a new version of VRX that is Web browser-based, allowing anyone to access this VR environment without the need of downloading an OS-specific application. This approach also allowed us to make use of Spectacles, CORE studio’s open-source BIM exporter and Web viewer. With Spectacles we are able to use the same tool for Web viewing and for the VRX environment. We also used an open-source wrapper to create the stereoscopic effect required for the Cardboard. In addition to creating a solution that is accessible across many devices, we approached the tool as a platform that could be used for sharing and collaboration between various people involved in the design and construction of a building. In order to create a truly collaborative virtual reality experience, we needed to build a platform that allowed for many different users to interact with one another. To structure this interaction, we created the roles of a guide and a series of guests. The guide would be represented by an AEC professional leading the latter through the virtual space, wherever in the world they are located. 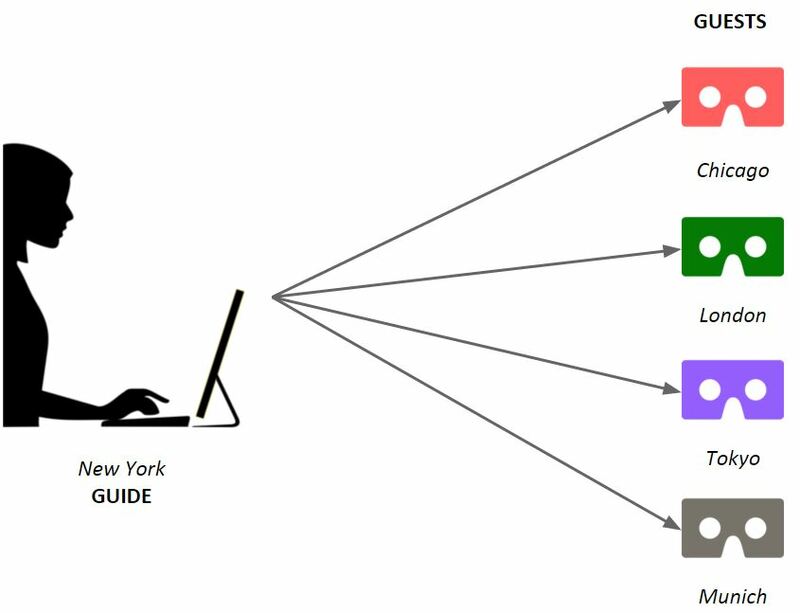 The guide is responsible for setting up views and guiding guests through the 3D space using a Web page on a laptop or tablet that consists of a Spectacles viewer in the center and various controls for guiding the guests. In this scene (below), the guide can see where the guests are positioned and in which direction they are looking thanks to the colored cones that locate each guest within the scene. This site also features zoom and selection controls along with layer visibility and camera options on the left side. 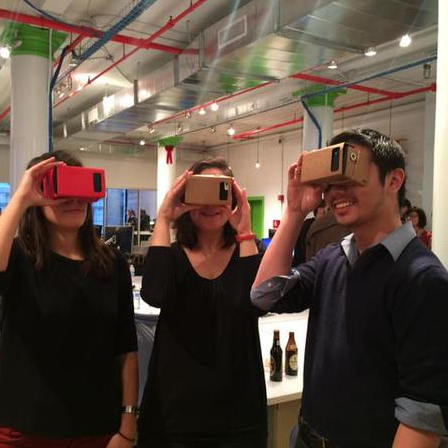 A series of panels on the right preview in real time what the guests see in virtual reality. Visibility and control changes made in the main page by the guide are sent and populated to the guests’ phones using a server. Just like in the original VRX prototype built during the hackathon, the guide and the guests can select building elements by looking at them to display their BIM properties. This allows the participants to go over the details of that particular object. Additionally, the guide can allow the guests to wander through the virtual project and define the pace of their movement. As part of the initial testing and improvement process of the platform, we brought VRX to the the world-renowned Association for Computer Aided Design in Architecture (ACADIA) in mid-October 2015. The three-day session focused on prototyping experiential futures using virtual reality technologies. In the workshop, co-taught by Shane Burger from Woods Bagot and Ana Garcia Puyol from CORE studio, VRX was presented and tested by participants from several architectural offices and academic institutions. VRX is currently in the alpha stage and we have plans to improve this platform in the next few months. A second phase for research and development has been approved with the goal of better supporting architects, engineers and contractors in the way they share, collaborate and visualize their BIM models by means of an immersive VR experience. You can check out some standalone demos here and the collaboration environment here. Stay tuned for more VRX!